This year try burning off some calories prior to your Thanksgiving meal at the Literacy Swings FUNdraiser Monday, November 19th. 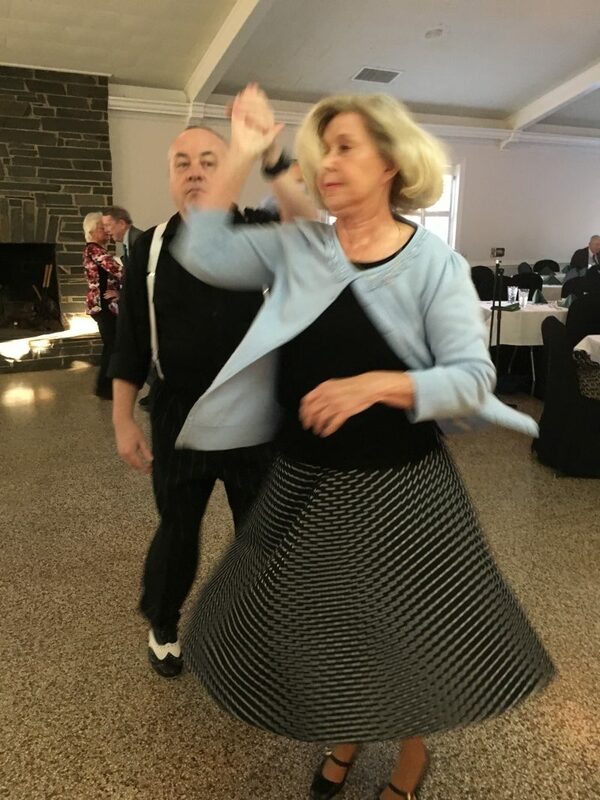 Chatham Literacy members urge residents to bring all of your visiting relatives and friends to a great evening of entertainment, music, dinner and dancing from 6:00pm to 9:00pm at the Pittsboro Roadhouse in Chatham County. The Triangle Jazz Orchestra’s 20-member swing-era-band headlines the event. Friends and family can remember the evening with free photos compliments of Queen Bee Rentals photo booth that includes an assortment of hats and other props. Executive Director of Chatham Literacy, Vicki Newell, says this promotion is becoming a unique fundraising event in Chatham County. “Every year we do this event even more the more people from all over come to enjoy the Big Band sound,” Newell said. “This year we think it will be THE place to entertain all your Thanksgiving friends and family.” Newell says if you don’t dance there will be several free dance lessons held throughout the evening. Advance registration is required for Literacy Swings and can be made online by clicking here or by calling 919-542-6424. Make dining reservations directly by calling 919-542-2432. The Roadhouse will help Chatham Literacy by donating 10% of all event-related food and beverage sales. Chatham Literacy’s mission is to help adults living or working in Chatham County to acquire the literacy and educational skills to function successfully. Literacy opens doors for someone to walk through with a GED, with a new job, and with confidence to enroll for higher learning or to become a U.S. citizen.